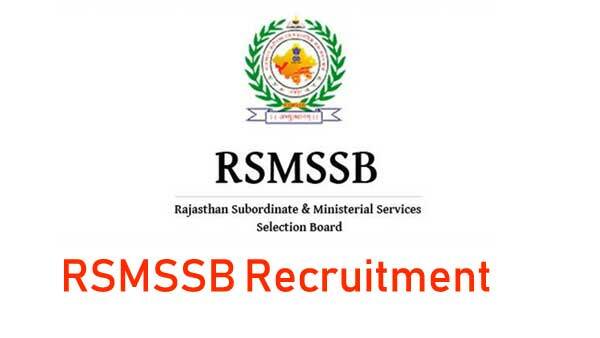 Interested Job Aspirants who are ready to apply for Rajasthan Subordinate and Ministerial Services Selection Board 2018 Notification must possess the below-given Eligibility Details. ii) Having one of the following or higher qualification in Computer Education:- “O” or Higher Level certificates course conducted by DOEACC under control of the Department of Electronics, Government of India. OR Certificates course on computer concept by NIELIT, New Delhi. OR Computer operator & Programming Assistant (COPA)/ Data Preparation and computer software (DPCS) certificates organized under National/ State council or Vocational Training Scheme. Selected candidates will get Rs.5200-20200/- Per Month by the Recruiting Organization. Rs. 450/- Pay the fee through credit card/ debit card/ net banking/ E Mitra Kiosk.